Hey, David. What do you think of the kid now? He's fast. He's efficient. And even on a night where he doesn't have his best weapon, he can find a way to victory. 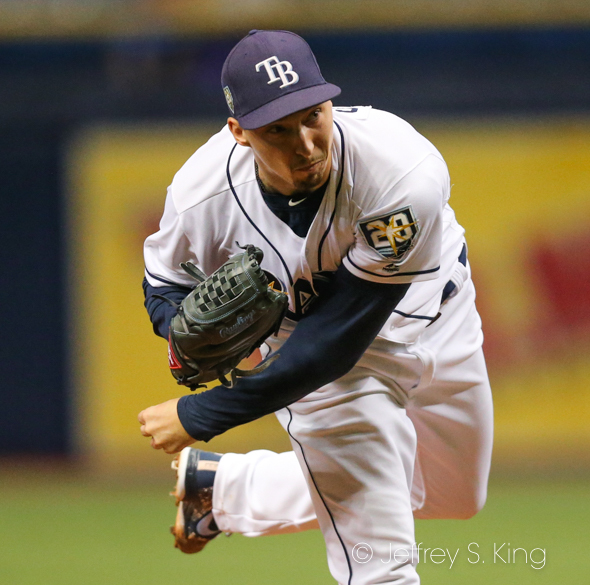 He's Blake Snell, and David, he's having the best season in Rays' history. Better than you, even. Snell was at it again Tuesday night, shutting down the Texas Rangers in an "off" night. And true, Snell didn't have his best fastball. But he went five innings and allowed only one hit, and no runs, in leading the Rays to their second straight shutout of the Rangers. Yeah, somewhere, David Price will hear about this one, all right. He always has praised Snell, but as this season goes on, it seems the world is in need of a few new adjectives. Compare this year by Snell with Price's Cy Young Award-winning season of 2012, and the only advantage that Price has would have been his innings pitched. Price liked to eat up innings that year, and Snell has been hurt and plays on a bullpen-happy team. But despite throwing 42 fewer innings than Price did, Snell so far has struck out only five (205-200) fewer batters. He's given up 67 fewer hits, his ERA is .59 runs lower, and he's surrendered 23 fewer earned runs. He's walked fewer and given up fewe home runs. Yeah, he deserves a lot of consideration for this year's Cy Young Award. 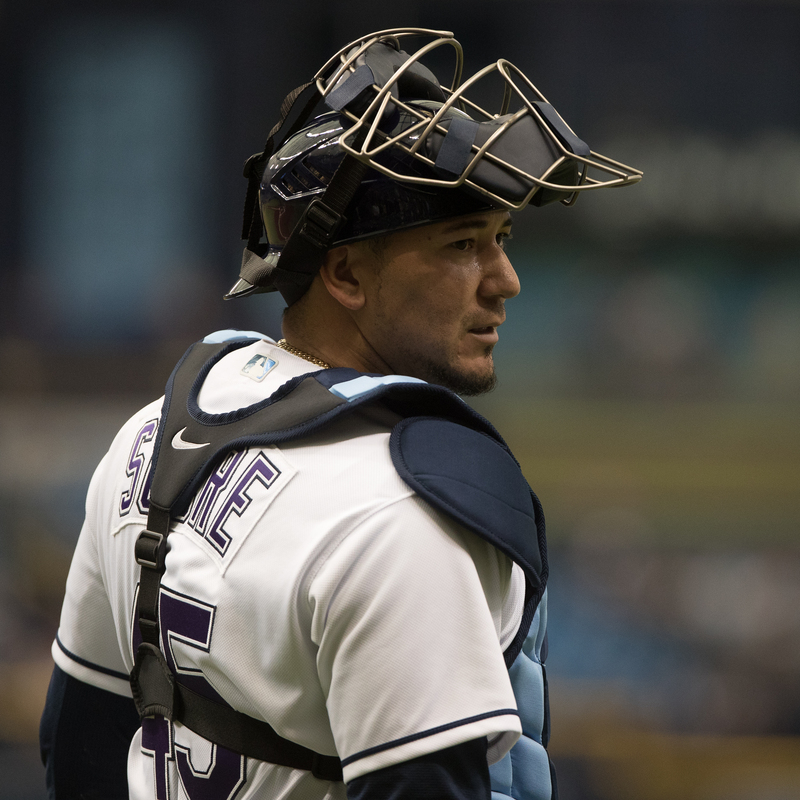 "It’s pretty special that he got his 20th win and 200 strikeouts on the same day," Rays manager Kevin Cash said. "He deserves all of the credit he’s getting now. People are noticing for a good reason. I don’t want to sound ridiculous and say he wasn’t his best. He shut a team down for five innings. "We’ve seen Blake better. He battled through his command a little bit. He was grinding all the way. He was just a little out of whack, but he continued to attack hitters." Perhaps Snell has set the standards so high that it can be disappointing to see him throw a one-hit shutout. Then again, the one hiccup in his resume is innings pitched. “Not a lot whole stood out, to be honest," Snell said. "The fastball was good, but the curve was not there. The change was really good today. Getting strike one was good, but after that it wasn't that good. It was a frustrating start for me today. "I’m not going to look at (his numbers). Honestly, I don’t care too much about it right now. I have two starts left and a lot can change in a good way and a bad way. I'm going to stay focused. When season ends, I’ll sit down and reflect and see what I accomplished." Well, a lot. Snell became the second pitcher (behind Price) to win 20 games. He's won eight in a row. "Every time he takes the mound, you have the opportunity to see something special," said infielder Joey Wendle. "I’ve never played behind a pitcher who has the ability to make quality pitches when he needs to. He seems to make every clutch pitch he needs to in every situation. Tonight was just another example, and in five days, we’ll probably see it again." 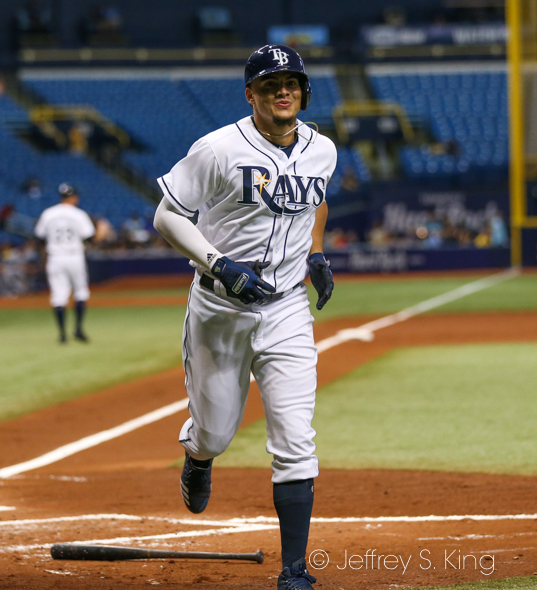 Wendle had four hits on the night for the Rays, while Jesus Sucre had three. Matt Duffy and Tommy Pham had two in the Rays' 15-hit attack. Tampa Bay closes out its series against Texas with a 2:05 game today in Arlington. Diego Castillo will pitch for the Rays against Yohander Mendez. Goes about his business like a pro. No showing up the opponent (Archer), no dramatics (Archer). Has been a fun season. Love watching this guys on the bench getting along. Good chemistry, it appears. I guess low expectations along w/ winning produces that. Yeah, low expectations are key. And a great finish (this team was .500 in August) help. Likeable players such as Wendle and Adams help. All in all, a good year.